Labelle is an American all-female singing group who were a popular vocal group of the 1960s and 1970s. The group was formed after the disbanding of two rival girl groups in the Philadelphia/Trenton areas, the Ordettes and the Del-Capris, forming as a new version of the former group, later changing their name to The Blue Belles (later Bluebelles). The founding members were Patti LaBelle (formerly Patricia Holt), Cindy Birdsong, Nona Hendryx and Sarah Dash. As The Bluebelles, and later Patti LaBelle and the Bluebelles, the group found success with ballads in the doo-wop genre, most notably "Down the Aisle (The Wedding Song)", "You'll Never Walk Alone" and "Over the Rainbow". 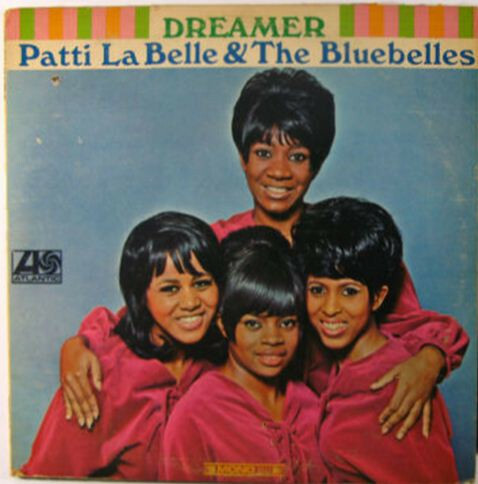 After Birdsong departed to join The Supremes in 1967, the group, following the advice of Vicki Wickham, changed its look, musical direction, and style and reformed as Labelle in 1971. Their funk rock recordings of that period became cult favorites for their brash interpretation of rock and roll and for dealing with subject matter that was not typically touched by female black groups. Finally after adapting glam rock and wearing outlandish space-age and glam-rock costumes, the group found success with the proto-disco smash "Lady Marmalade" in 1974, leading to their parent album, Nightbirds, which achieved gold success. They are notable for being the first contemporary pop group and first black pop group to perform at the Metropolitan Opera House. They were also the first black vocal group to appear on the cover of Rolling Stone. The group members each went on their own after the end of a tour in 1976, going on to have significant solo success. Nona Hendryx followed an idiosyncratic muse into her own solo career, which often bordered on the avant-garde, Sarah Dash became a celebrated session singer while Patti LaBelle enjoyed a very successful Grammy winning and receiving lifetime achievement awards from the Apollo Theatre, World Music Awards and BET Awards . The group returned with their first new album in 32 years with 2008's Back to Now. Labelle had nine Top 20 R&B hits between 1963 and 1976.